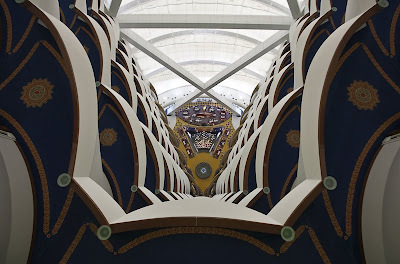 Burj Al Arab characterizes itself as the world's only "7-star" property, a designation considered by travel professionals to be hyperbole. 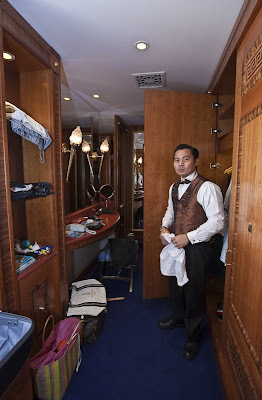 All major travel guides and hotel rating systems have a 5-star maximum, which some hotels attempt to out-do by ascribing themselves "6-star" status. 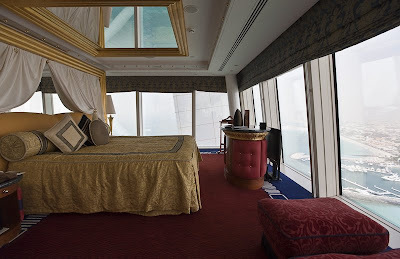 Yet according to the Burj Al Arab's official site, the hotel is a "5-star deluxe hotel". It is the world's tallest structure with a membrane facade and the world's tallest hotel (not including buildings with mixed use) and was the first 5-star hotel to surpass 1,000 ft (305 m) in height. who owns the hotel? or is there a website for any career oppurtunity? 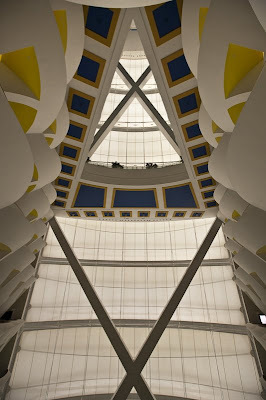 I was really stunned by the intricate design and nothing can compete with it.. 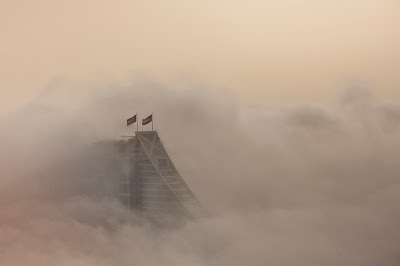 They say, Burj al-Arab was the dream of Sheikh Zayed bin Sultan al Nahyan, which turned out to be a physical reality years later in Dubai. The tower that resembles the sail of dhow, became the world's tallest hotel with the height of 321m in 1999, and the iconic tower of Dubai. The construction took 6 years (1994-1999). The marketing technique of self-declaring the 7 star title has worked very well. 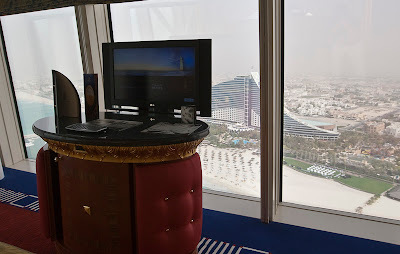 Burj al-Arab became one of the most wanted destinations, and not only in the United Arab Emirates. 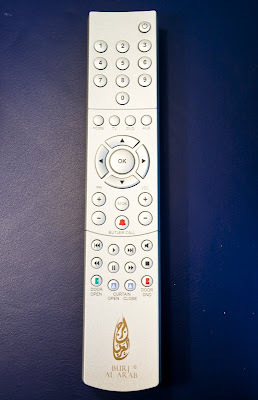 To keep objectivity, the hotel is officially 5 star deluxe. 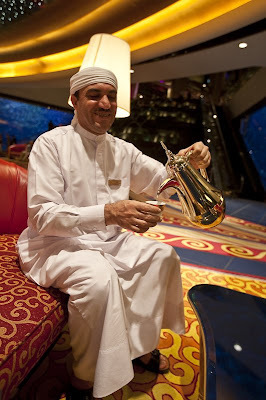 The service and the unseen luxury definitely makes it stand out of the other 5 star hotels. 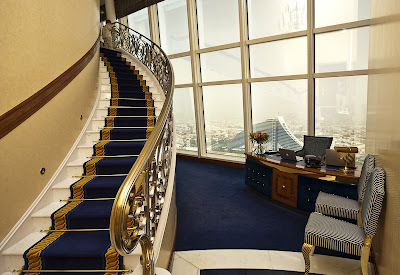 The service includes private chauffeur with Rolls Royce or BMW 7, private reception desk every floor, helicopter pad (helicopter trips to the center of Dubai or to the Dubai International Airport), restaurant located 200m above the sea level, with amezing view on the city. 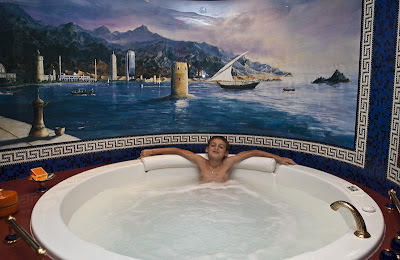 The hotel offers free entry to the Wild-Wadi Water Park as well. 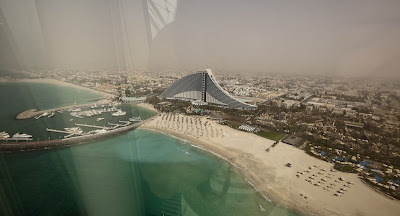 Celebrities appear daily at this hotel, Andre Agassi had a tennis game with Roger Federer on the helipad, and Ronan Keating made his video clip at the same place. 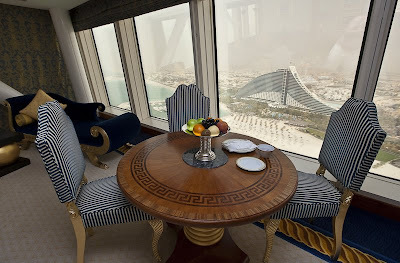 Burj al-Arab stands on an artificial island which is linked to Jumeirah by a private bridge. 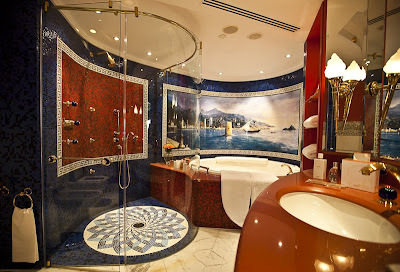 Burj al-Arab has the most luxurious interior imaginable. 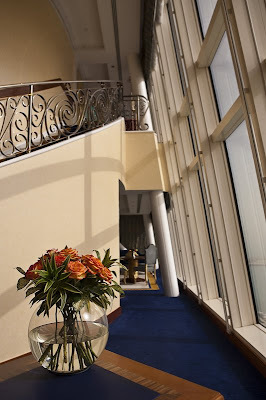 Khuan Chew, Design Principal of KCA International was responsible for the interior design. 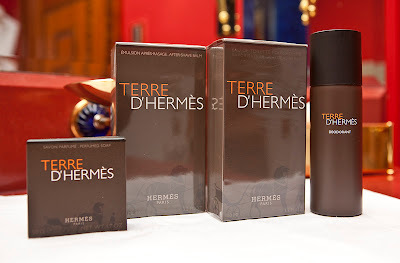 The most expensive materials were used throughout the building. 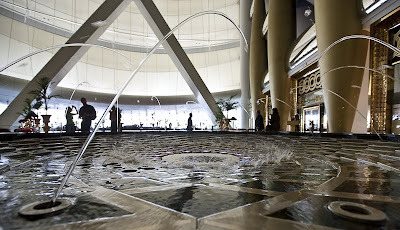 There is no exact data about the cost of the hotel, but rumours say that the return of investment could be 100 years, although the nights at Burj al-Arab start at $1000. 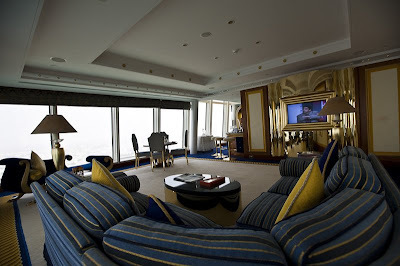 The Royal Suite costs $28000 per night. 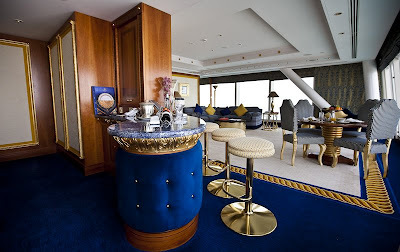 There are 202 duplex suites in the hotel, the smallest suite starts at 169 m², and the largest is 780 m². 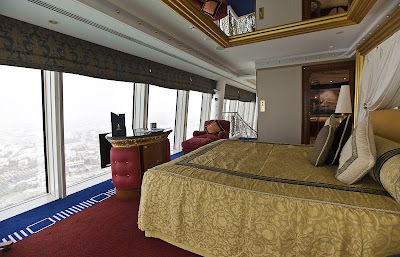 Each suite has floor to the ceiling windows with spectacular views on the Persian Gulf. 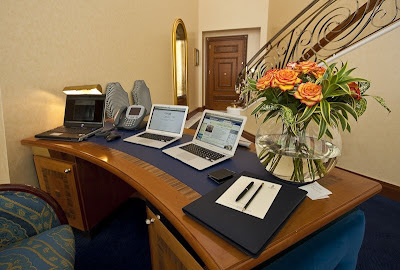 Every suite has sumptuous living and dining area, and office facilities. 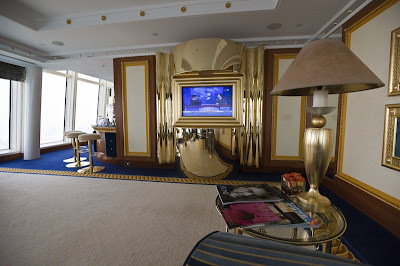 They are equipped with 42 inch Plasma screen TV, and everything is automated and can be controlled via remote. The list goes on, like 13 pillows to choose from and similar thoughtful care for the guests. 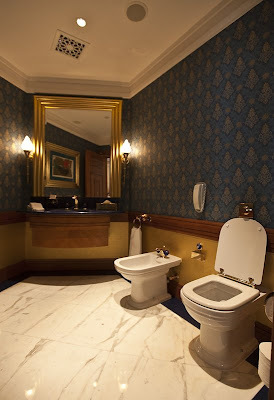 There is huge variety of brilliant, elegant restaurants that offer much more than the average. 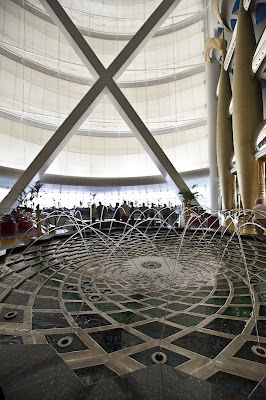 Al Mahara (The Oyster) let you enjoy your meal next to a large circle aquarium. 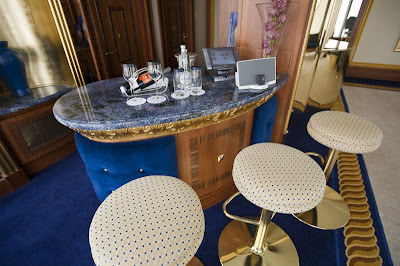 The Skyview Bar leaves you with an unforgettable experience drinking coctails -made by Rikard Lindqvist (mixologist) from Sweden- 200 m above the sea-level. If that is not enough, there are 8 more restaurants to choose from. Trick to get in for free: There is an entry fee to the hotel if you just want to see it from the inside, which is about ~50 euros. Although there is a trick that might help you get in without payment. 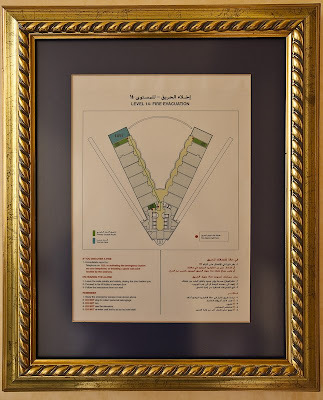 Make a reservation on the phone for any restaurant in Burj al-Arab, you will get a reservation number which you have to show at the front gate. When you get inside to the hotel, just avoid the restaurant. Make sure you dont give your real phone number to them. 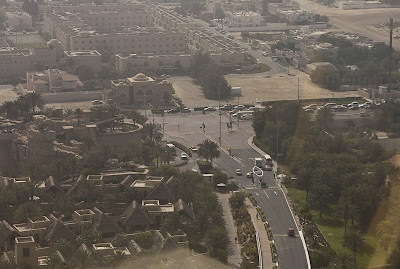 The Tower of the Arabs from an exact angle (sailing into the city of Dubai) can be viewed as a Christian symbol, the cross. It is still widely disputed, wether the British architects made it intentionally, or this is only a harmless coincidence. 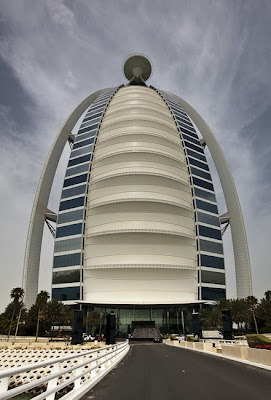 As United Arab Emirates is an Islamic country, such symbol would not make the locals happy, as Burj al-Arab is the iconic tower of their country, that represents their dream of the modern Dubai. 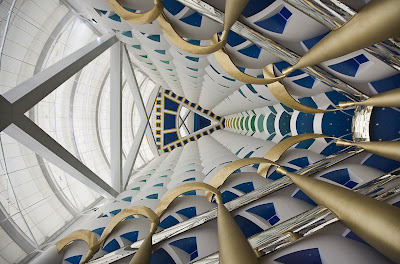 Burj al-Arab was the first hotel to self-declare the 7-star title, but soon another hotel appeared in the United Arab Emirates, the Emirates Palace in Abu Dhabi. 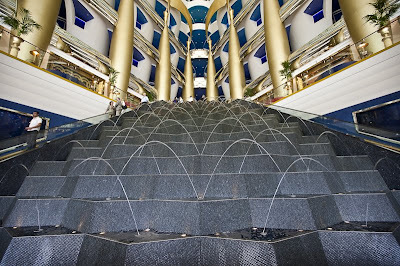 While Burj al-Arab lies on a small artificial island, Emirates Palace is surrounded by a spectacular garden with multiple swimming pools and amezing fountains. 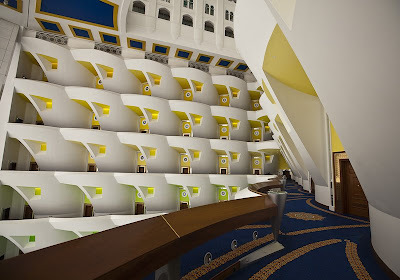 The hotel kept the traditional arabic architectural style. 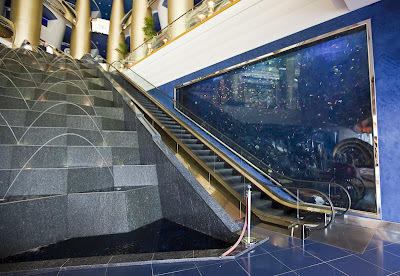 © 2009 Al Burj Hotel, Dubai - 7 Star Hotel in Dubai · Proudly powered by Blogger & Green Park 2 by Cordobo.